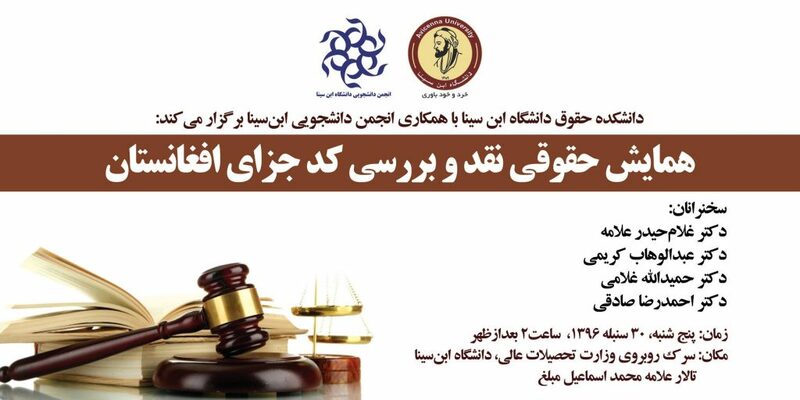 Avicenna University law Faculty in Cooperation with Students Government Association holds: A Seminar on Critique and Review of Afghanistan Criminal Codes. When: Thursday, Sept 20, 2017 . From 2 to 4 pm. 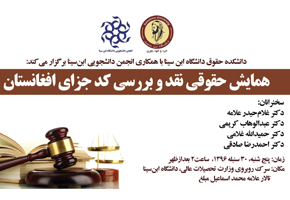 Where: Kart e Char, opposite to the Ministry of Higher Education, Avicenna University, Allama Ismsil Mobaligh Oduidtrum.